KATHMANDU, Nov 21: With stiff competition expected from the UML-led left alliance in the upcoming polls, the ruling Nepali Congress (NC) and Madhes-based parties are under pressure to forge electoral alliances across the Madhes districts even at the eleventh hour. Party insiders said there is mounting pressure from local level leaders and cadres in various districts to work further on the electoral alliance. Failure to forge alliance could result in a dismal showing, at least under the first-past-the-post (FPTP) electoral system, it is stated. A senior RJPN leader cited an internal assessment that failure to forge electoral alliances between the two ‘democratic forces’ could bring negative results in the upcoming polls. “Based on their assessment on the ground, local level leaders in various districts have suggested forging electoral alliance with NC in order to secure victory against the leftist alliance,” said the senior leader, asking not to be named. RJPN is a conglomerate of six various Madhes-based parties that had earlier staged a months-long protest against the constitution, demanding amendments to some of its provisions. Although it is technically not possible to withdraw any candidacy now, given the deadline set by the Election Commission (EC) , the maximum the parties can do is reach agreement to support each other’s candidates in different constituencies. For instance, the Kamal Thapa-led Rastriya Prajatantra Party and Baburam Bhattarai-led Naya Shakti Nepal on Monday agreed to support each other’s party chairs in Gorkha 2 and Makawanpur 1. Earlier, NC and the two Madhes-based parties had engaged in negotiations till the end. But they could not forge an electoral alliance as RJPN and FSFN, according to NC leaders, demanded a disproportionate number of constituencies in Madhes districts -- a region that NC considers its bastion also. Confident as they were in the beginning, RJPN and FSFN had together demanded at least 24 out of the total 32 constituencies for parliamentary elections in Province 2. The two Madhes-centric parties had offered their support in constituencies adjoining the East-West Highway, where the leftist parties are relatively strong, in exchange for NC’s support in constituencies in the inner tarai belt. However, the negotiations could not make any headway, especially after RJPN leader Rajendra Mahato insisted on not giving up constituency 3 of Dhanusha district in favor of NC senior leader Bimalendra Nidhi. Except for NC offering support to FSFN Chairman Upendra Yadav in constituency 2 of Saptari district and RJPN top leader Mahantha Thakur in Mahottari 3, there has not been any electoral alliance between the two forces. With both NC and the Madhes-based parties relying on the same vote bank, there are fears within the NC-led alliance that the leftist parties may come out winners owing precisely to the failure to forge alliance. Party insiders said local level leaders and cadres of both sides have started pressuring the top leaderships to engage in serious homework to make the poll alliance possible. Of the total 136 local units in districts of Province 2, NC had secured victory in 40 units in the recently held local level elections, while FSFN and RJPN won in 25 and 24 local units respectively. The CPN (Maoist Center) had bagged 25 local units and the UML 18 . 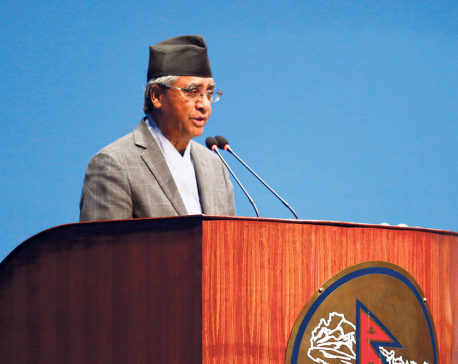 While the NC-led alliance includes Rastriya Prajatatra Party, Naya Shakti Nepal and other fringe parties, the UML-led leftist alliance has the Maoist Center, Rastriya Janamorcha, Nepal Family Party and other leftist groups. As NC’s partners in the alliance do not have much strength in the province, the three-side poll battle in Madhes districts is expected to be hard fought, yielding some benefits to the left. RJPN General Secretary Keshav Jha admitted that their poll prospects are not as good as anticipated in the beginning. “The reason is not that we do not have a strong base. But in the first place, there was no proper selection of candidates. Also, the electoral constituencies were not decided between RJPN and FSFN on the basis of the strengths of each party within the alliance in different constituencies across Madhes,” Jha said.